Original title: Les Grandes Baigneuses. 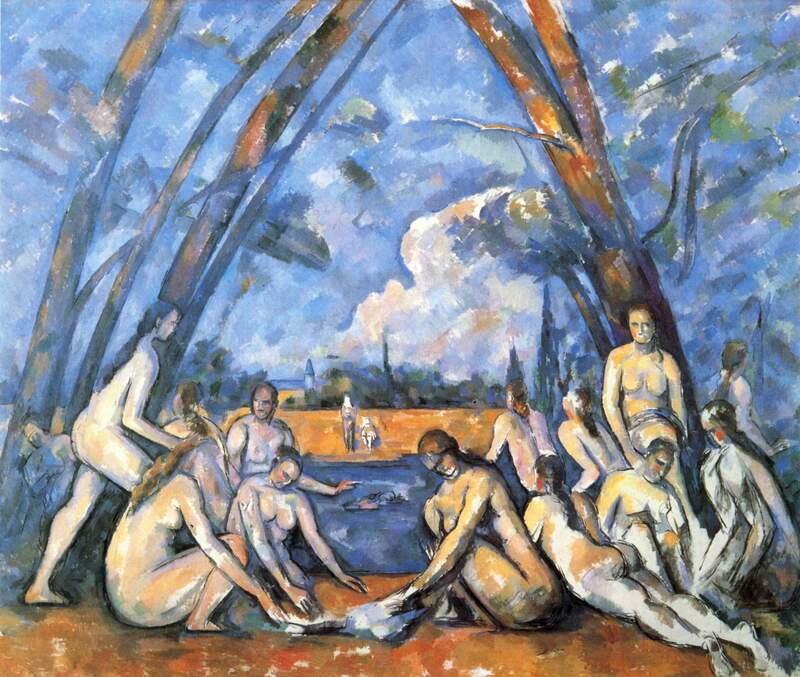 The Bathers is the most well-known painting by Cézanne, considered the father of 20th century painting, by bridging post-impressionism to the new era, and of specially of cubism, which would later have Picasso and Metzinger as main exponents. Cézanne painted it between 1898 and 1905, being the largest of a series of paintings with the same title. More info in wikipedia and analysis here.